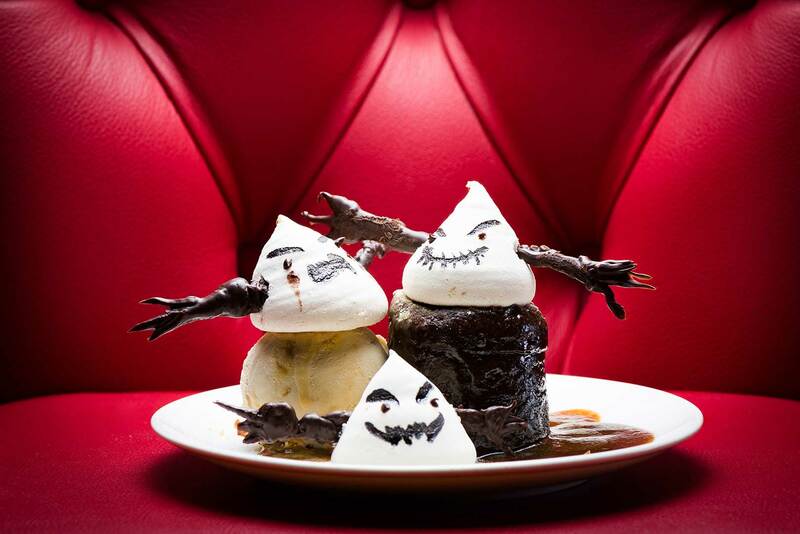 Happy Hauntings from Burger and Lobster! 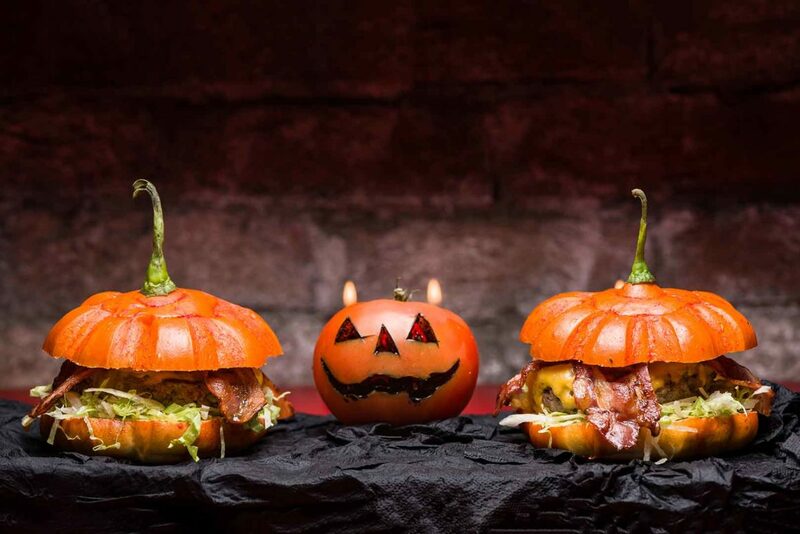 It’s almost fright-night in Dubai, so why don’t you creep it real this Halloween and give your taste buds a trick and treat by trying out the new spooky menu at Burger and Lobster! 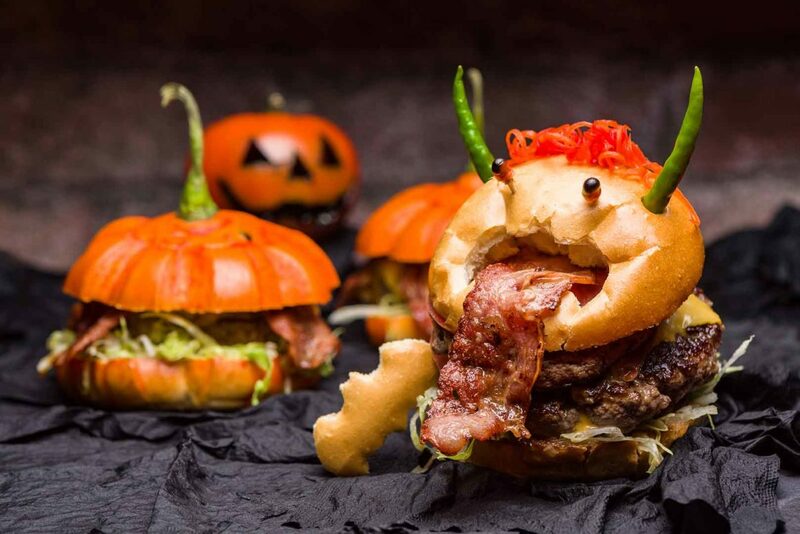 If you’re a real burger fanatic this franken-tastic burger will make your jaw drop! 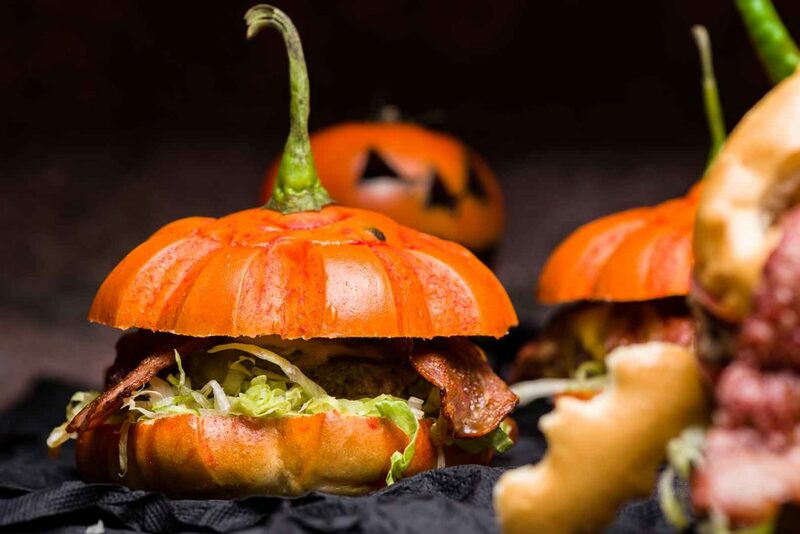 Expect an extraordinary dining experience with the exclusive Pumpkin Burger, mingling fresh cheddar cheese, veal bacon, a grand beef patty and Burger & Lobster’s secret burger sauce. 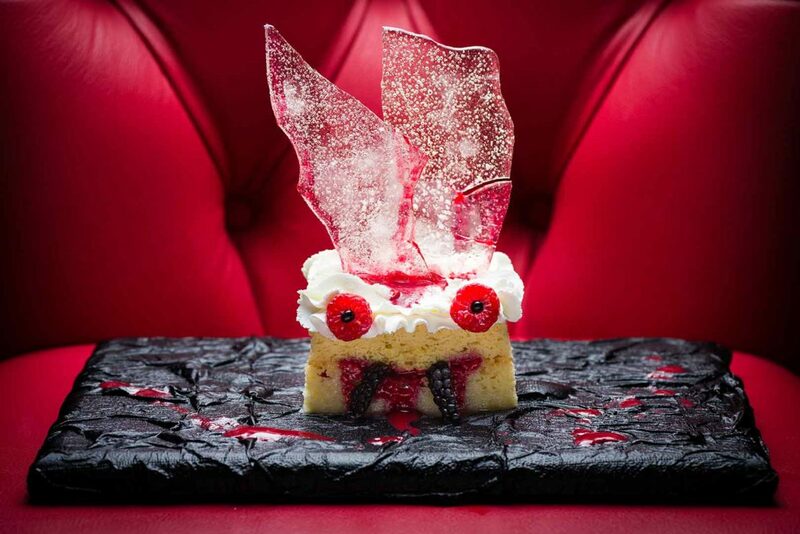 It doesn’t end there for burger lovers; prepare to get real messy with the sensational Devil Burger. Served in a fresh soft burger bun, a juicy beef patty and topped with all the right condiments, making for the ultimate comfort food. Come in for a bite…The Hannibal Lobster Roll calls all ghouls to enjoy the new construction made with B&L’s homemade brioche bread and generously stuffed with fresh lobster, dictating spicy and sweet flavours to the masses. 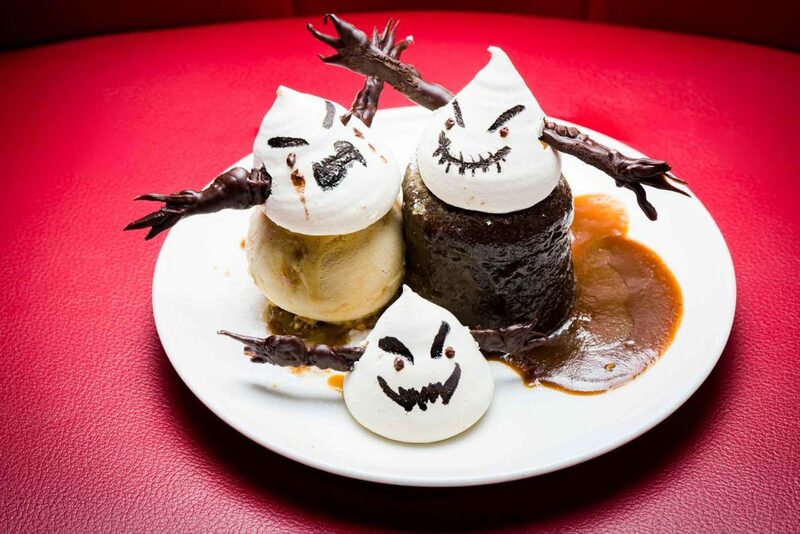 On the sweet side, indulge in the ultimate sugar rush for the Ghost Sticky Toffee Pudding. Made from kimya dates, soft vanilla ice-cream and light and fluffy whipped cream, this dessert is all you have been looking for. If there were such a thing as a perfect dessert the Murdered Trees Leeches would be on top of the list. A spooky spin-off that will haunt you for seconds! Bellow you can see how far imagination can goes. 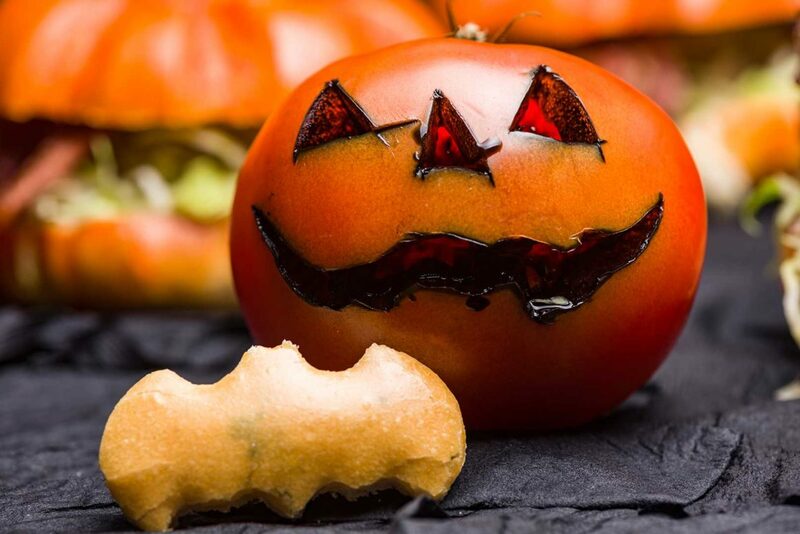 When chef Hicham bring dish in front of me I say with the smile “so now we will shoot pumpkin filed with meat chef” after a 2 second I released that this is real burger bun create in perfection. You will see bellow picture of all mention burgers above and honestly I saw many chefs failing on this special occasion but you mate, you didn’t! Great job chef!! Check my recent work for your hungry eyes. 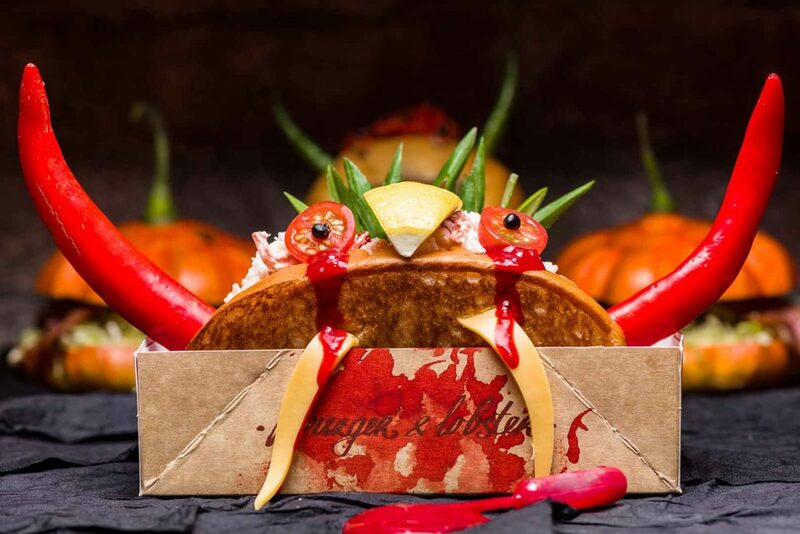 Tagged Devil Burger, Halloween, homemade, Murdered Trees Leeches, Pumpkin Burger, spooky menu, The Hannibal Lobster Roll.